Need a durable chair mat for home office? Our Black Chair Mats stand out from the crowd! Studded chair mat is made for use on medium pile carpets with pads. Heavy-duty vinyl with a textured finish. 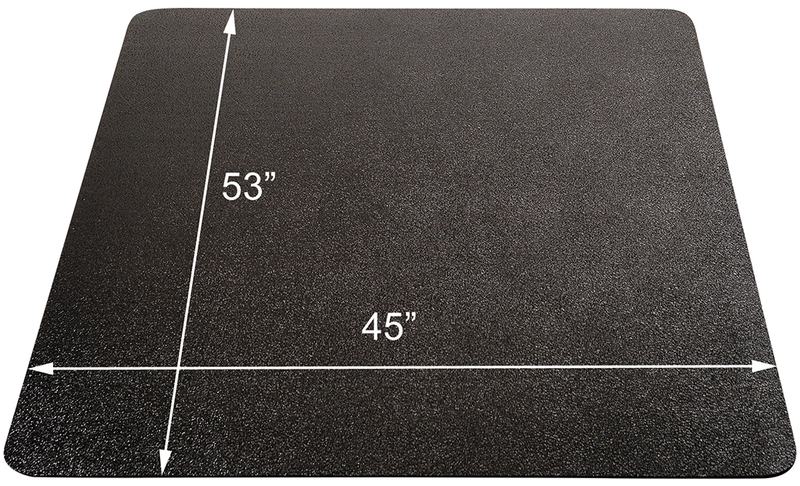 Mat is .125" (1/8") thick with straight cut edges. 36"x 48" Black Medium Pile Carpet Rectangular Chair Mat sold above. Other sizes sold below. 36"x 48" Black Medium Pile Carpet Rectangular Chair Mat arrives rolled in the carton. Shipping weight 15 lbs. PRICE INCLUDES SHIPPING. Please allow 1-2 weeks for delivery. 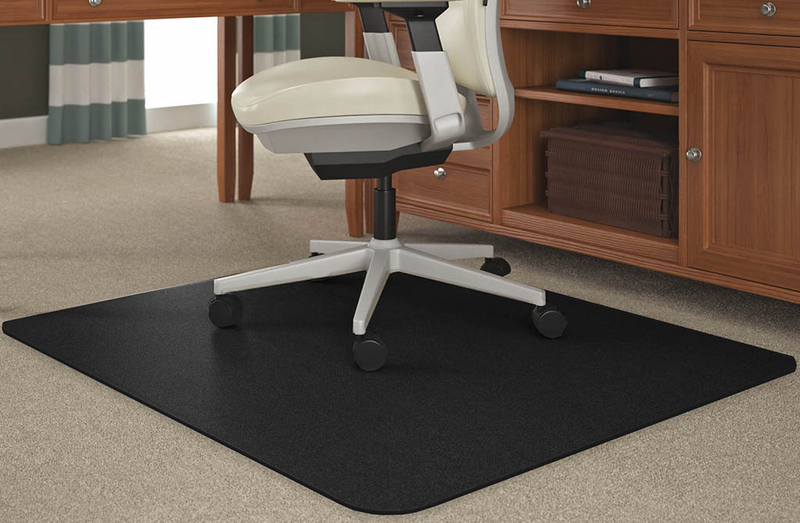 * Chair mats provide protection for your carpet and make it easier to roll around in your office chair. 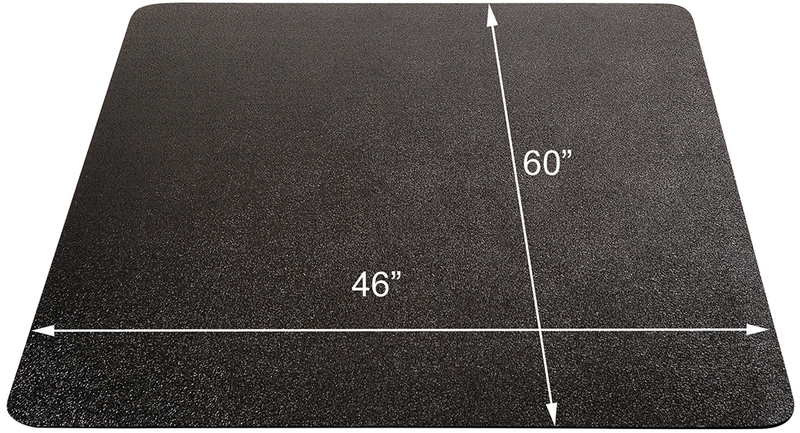 * Thick vinyl construction makes a less flexible mat, which helps resist cracking. 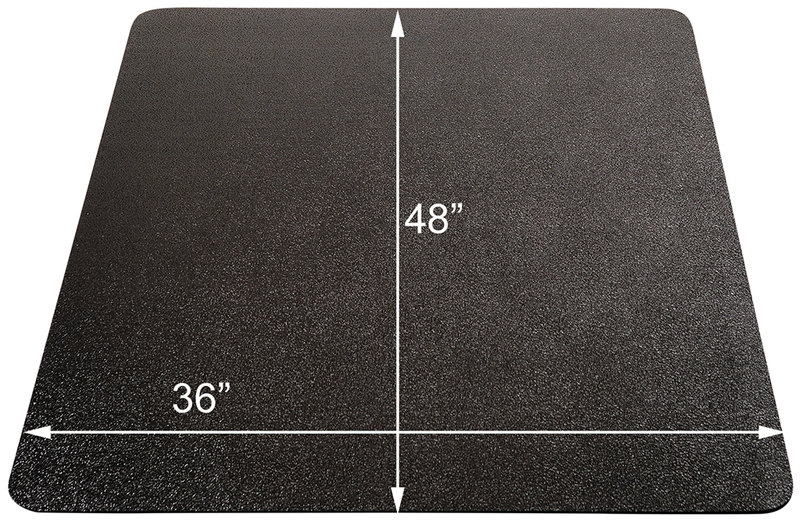 * .125" thickness ideal for commercial office settings, when low pile carpets without padding are commonly used. * Chair mats are studded for carpet use, to prevent the mat from shifting around. * Custom sizes available! Call to inquire. * LIFETIME WARRANTY! Guaranteed for a lifetime when used on commercial grade/low pile carpet without pad by users up to 250 lbs. 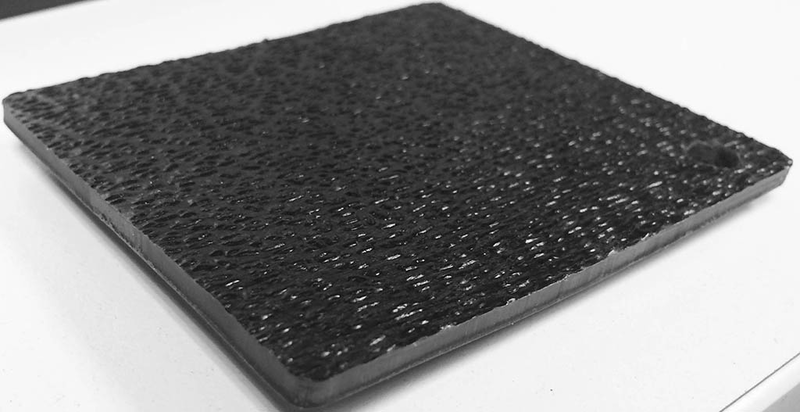 Manufacturer offers a ONE TIME REPLACEMENT MAT, free of charge, if it cracks or breaks no matter how old your chair mat may be. Customer pays shipping for replacement mat. 1 - 5 $139.00 ea. 6 - 11 $134.00 ea. Meant for use in home office settings with medium pile carpet with pad. Durable studded chair mat rated for commercial use at your desk up to 8 hours a day. Mat is .125" thick. Straight cut edges. Arrives rolled in the carton. Shipping weight 19 lbs. PRICE INCLUDES SHIPPING! 1 - 5 $169.00 ea. 6 - 11 $164.00 ea. Meant for use in home office settings with medium pile carpet with pad. Durable studded chair mat rated for commercial use at your desk up to 8 hours a day. Mat is .125" thick. Straight cut edges. Arrives rolled in the carton. Shipping weight 23 lbs. PRICE INCLUDES SHIPPING!